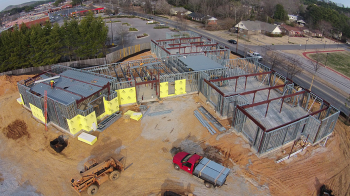 Eldeco has joined Hoar Construction by volunteering services to build the new school for at risk 3 and 4 year old children and their families prepare for kindergarten in the Birmingham City Schools. Eldeco was able to assist with both design and installation of this school. Because saving $100 means providing a year’s school supplies for a child that would otherwise not be afforded them, the team was passionate about taking advantage of every opportunity to maximize productivity and drive down construction cost. Knowing they are investing in the future of these children has made building and planning for the new PreSchool Partners education facility rewarding for the entire project team. For the past 20 years, the nonprofit organization has shared and rented space as it has worked toward its mission to equip families of at-risk preschool children with the necessary skills to achieve school readiness.
. It will also allow the program to be in the same location all week and provide a rainy day activity room, offices for all staff and an enlarged playground. 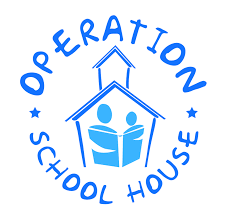 Operation Schoolhouse is a $3.4 million capital campaign that will allow the PreSchool Partners program to serve more children and families and, therefore, make a greater impact by providing a quality education to children and their families who would not receive one otherwise.